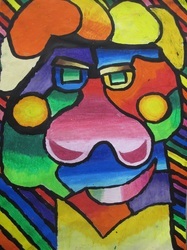 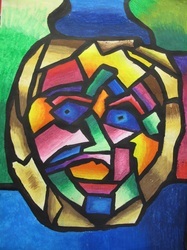 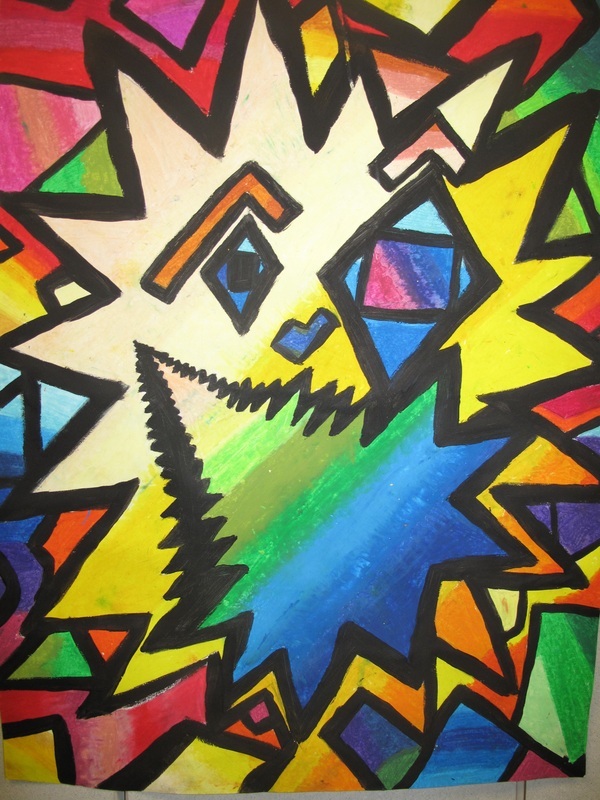 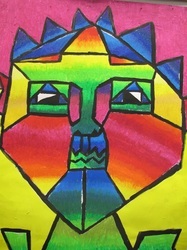 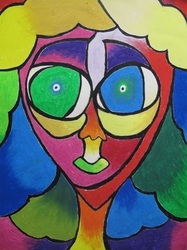 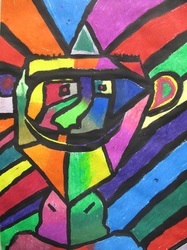 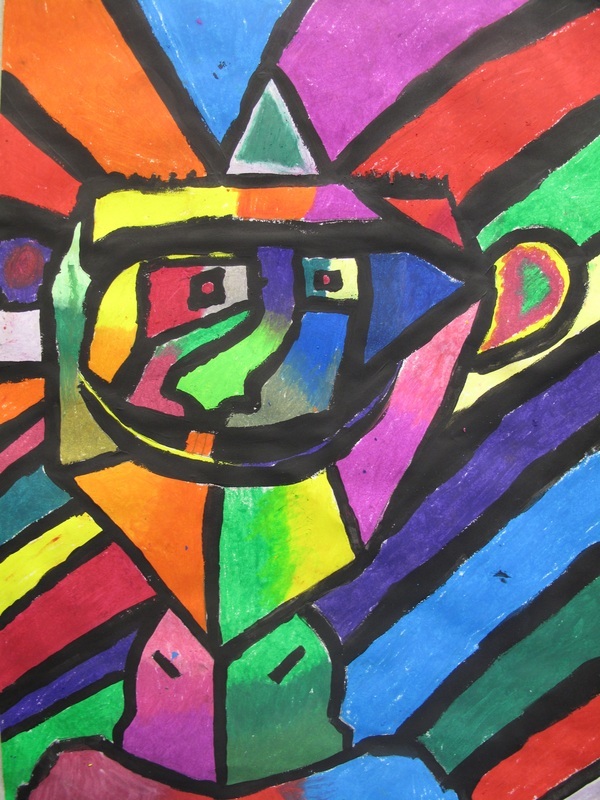 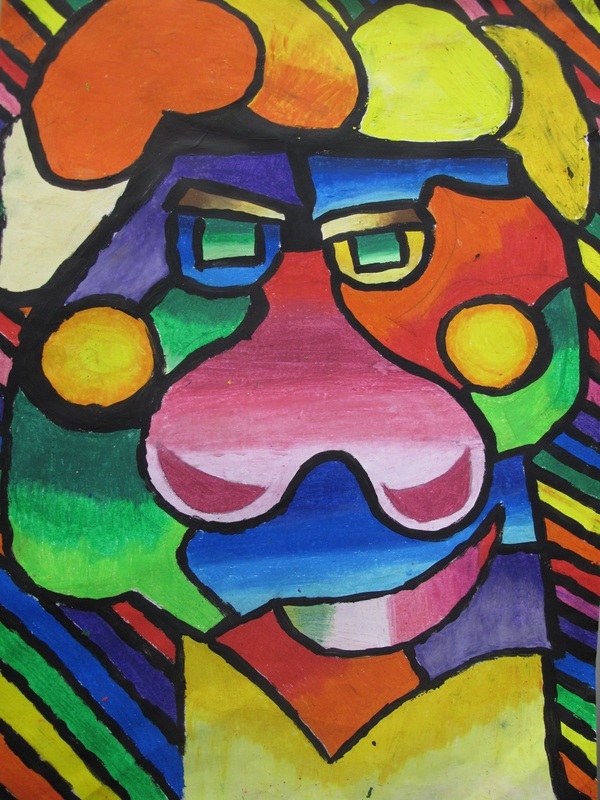 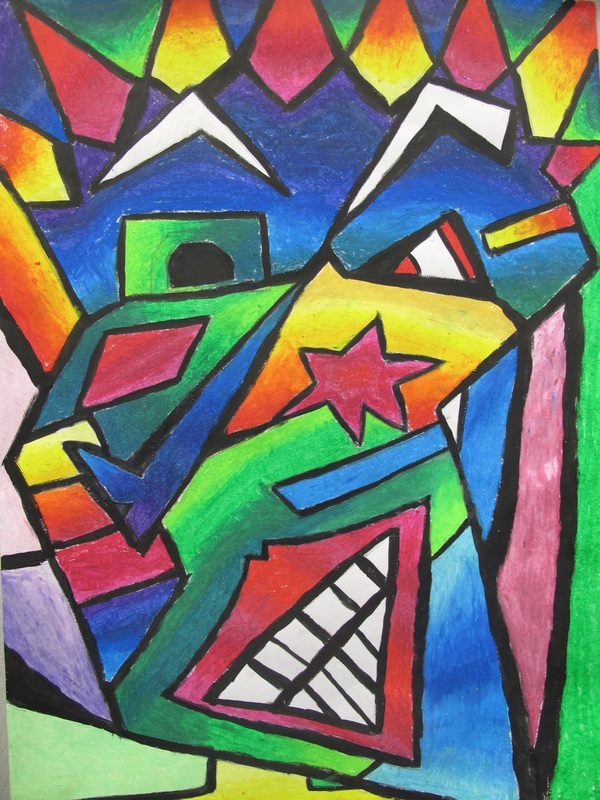 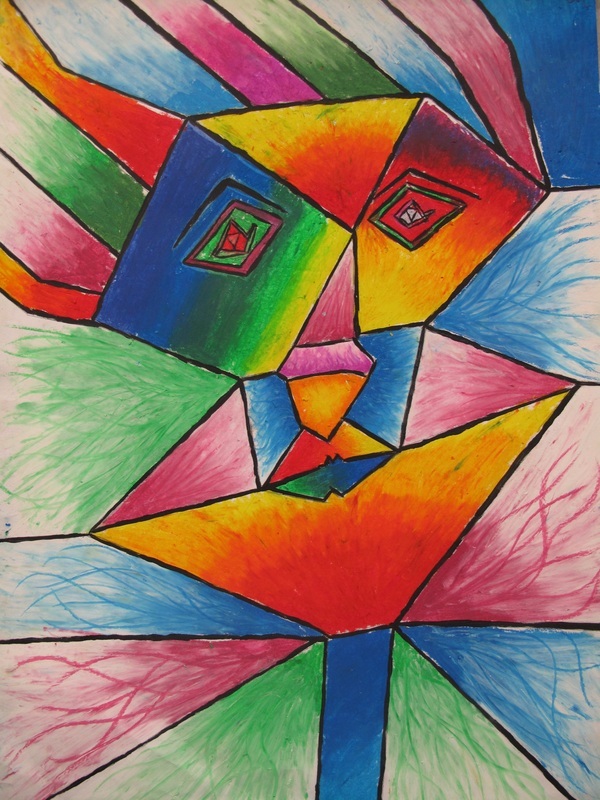 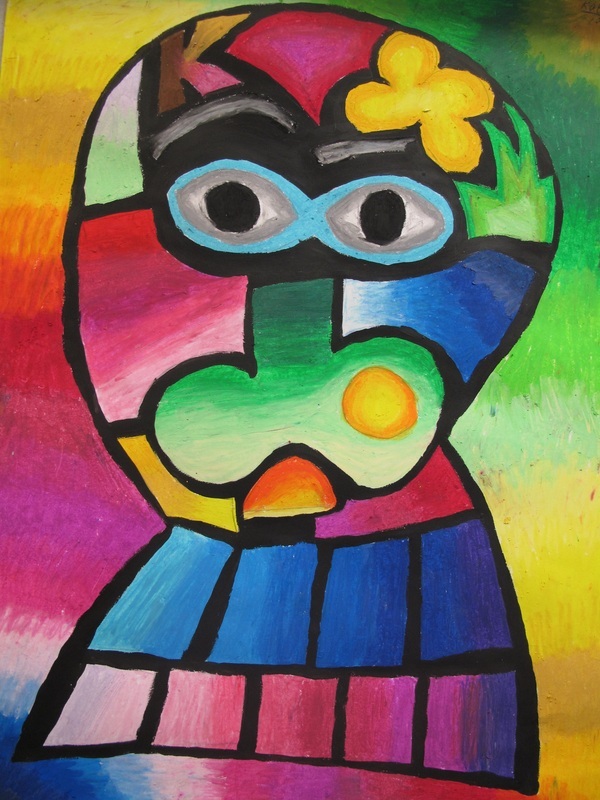 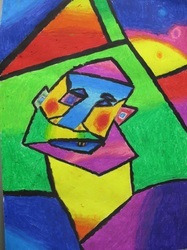 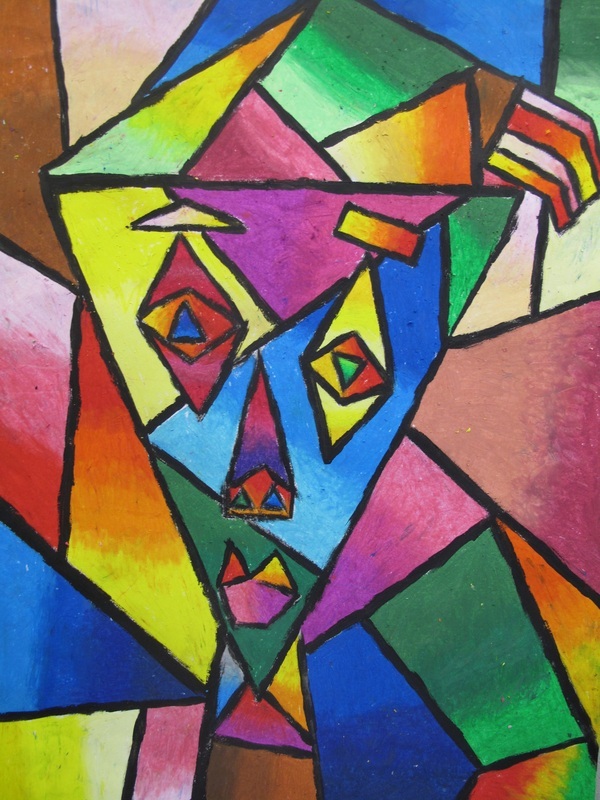 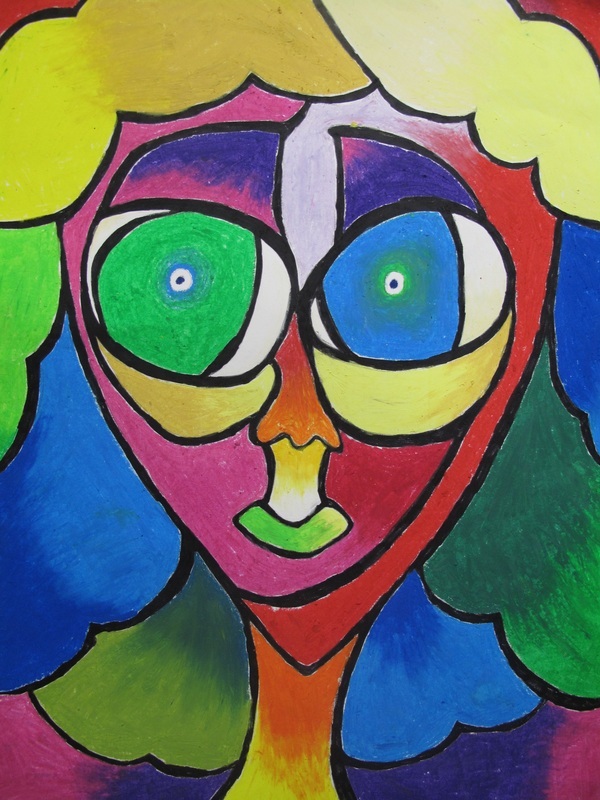 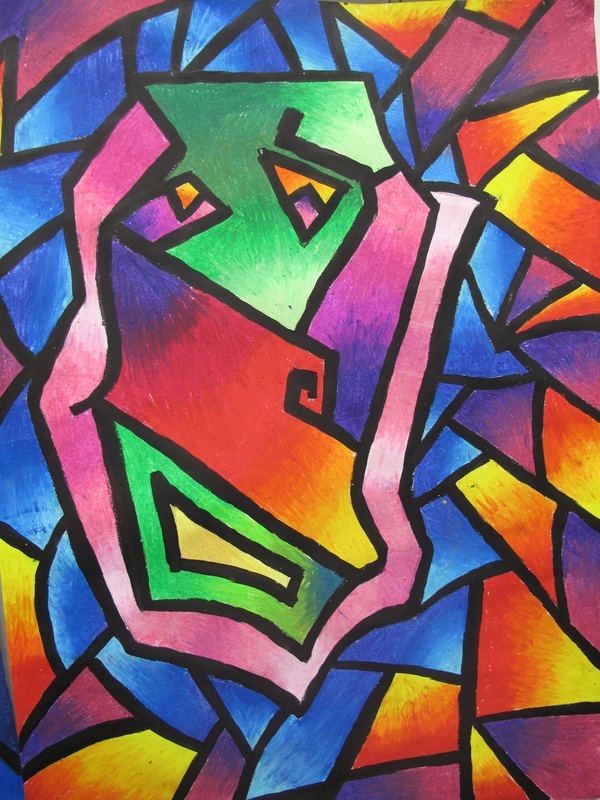 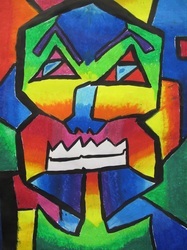 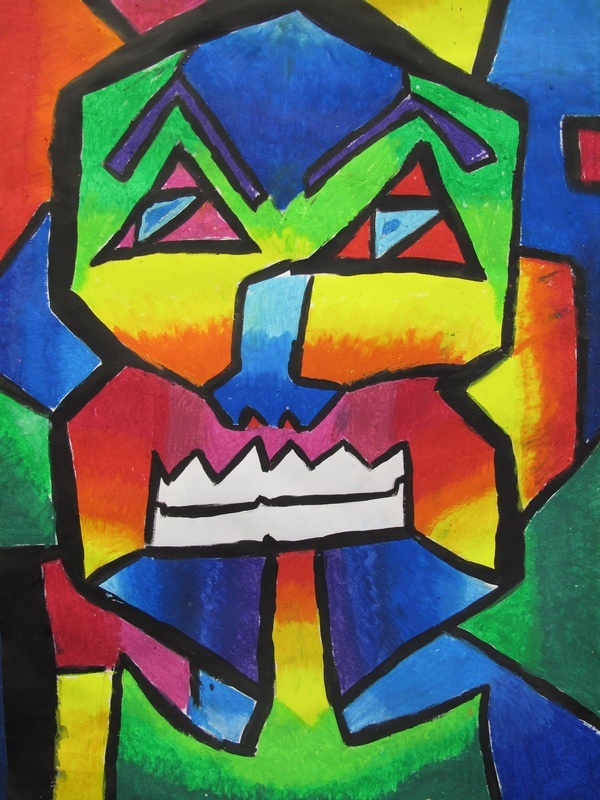 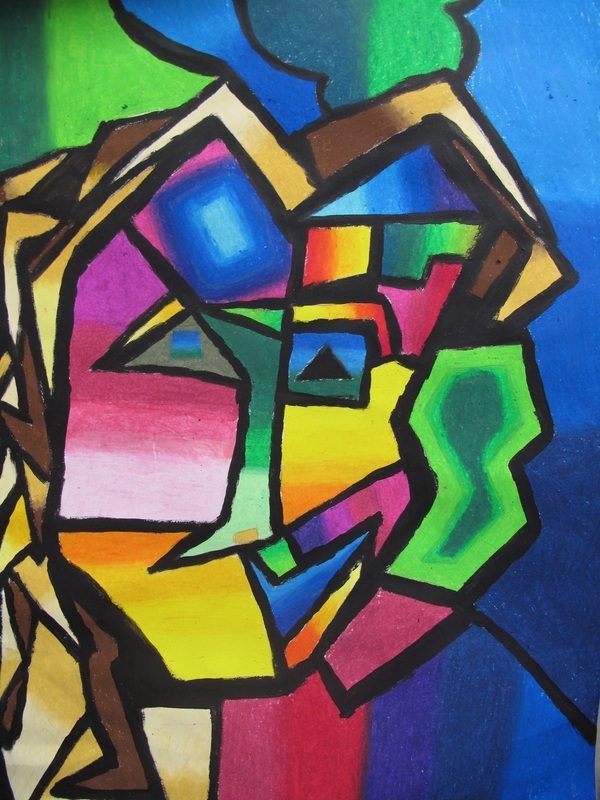 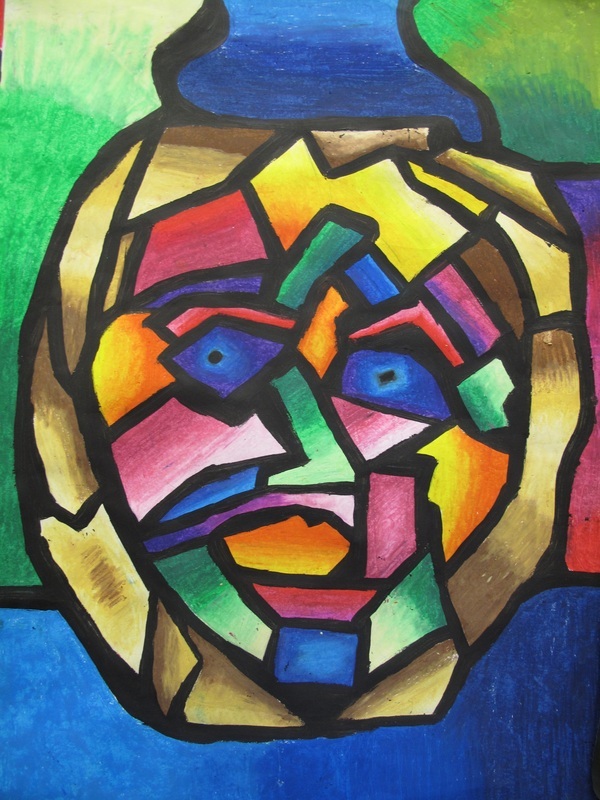 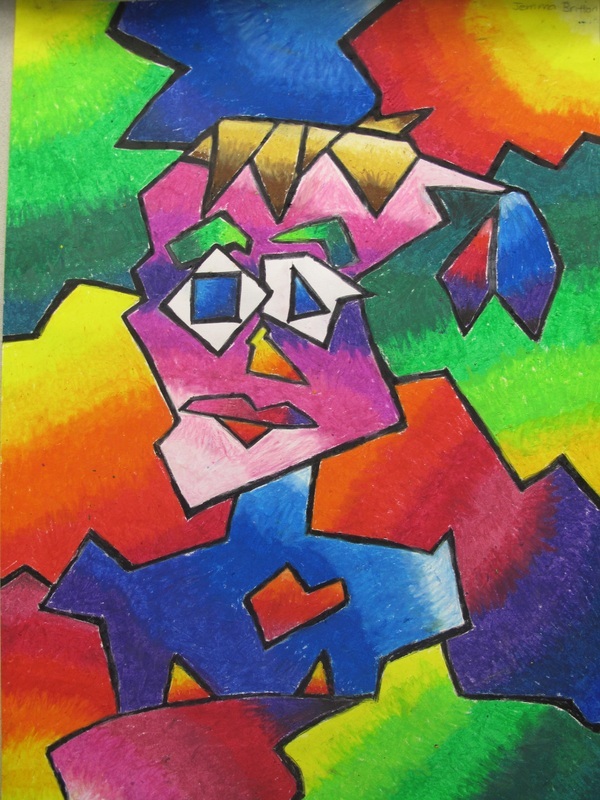 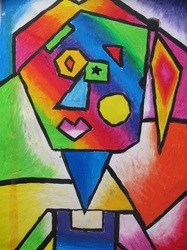 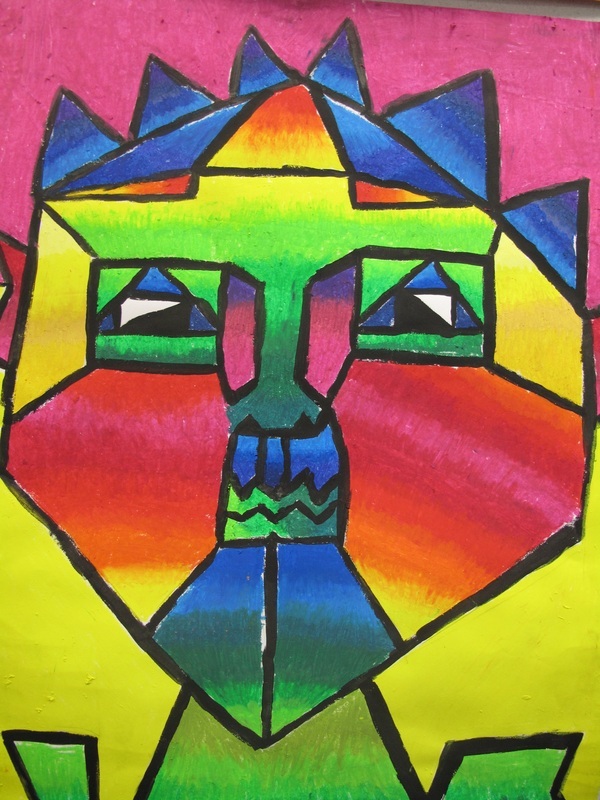 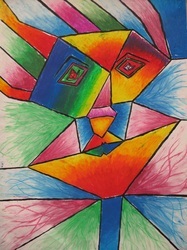 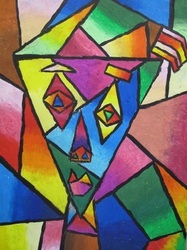 Year 8 and 9 students studied how Picasso developed from realism to abstraction. 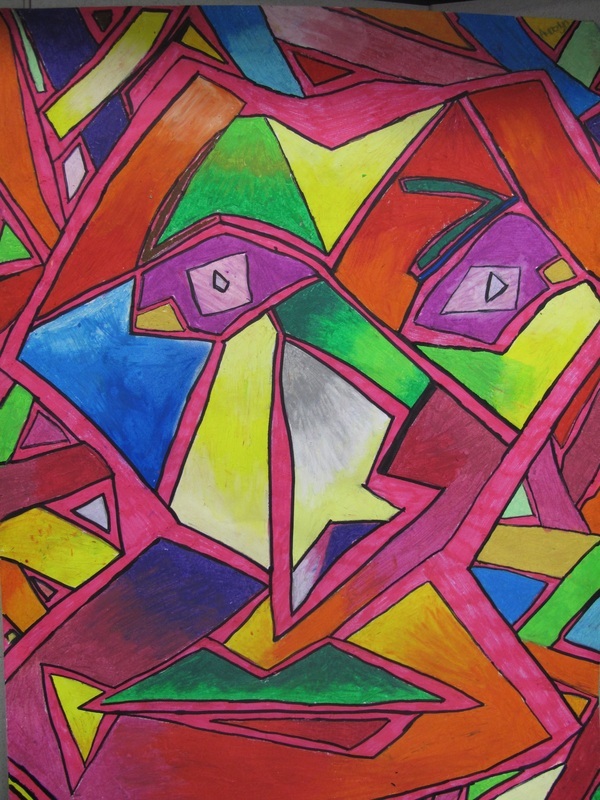 They created shapes using straight or curved lines and filled the shapes with blended colours using oil pastels. 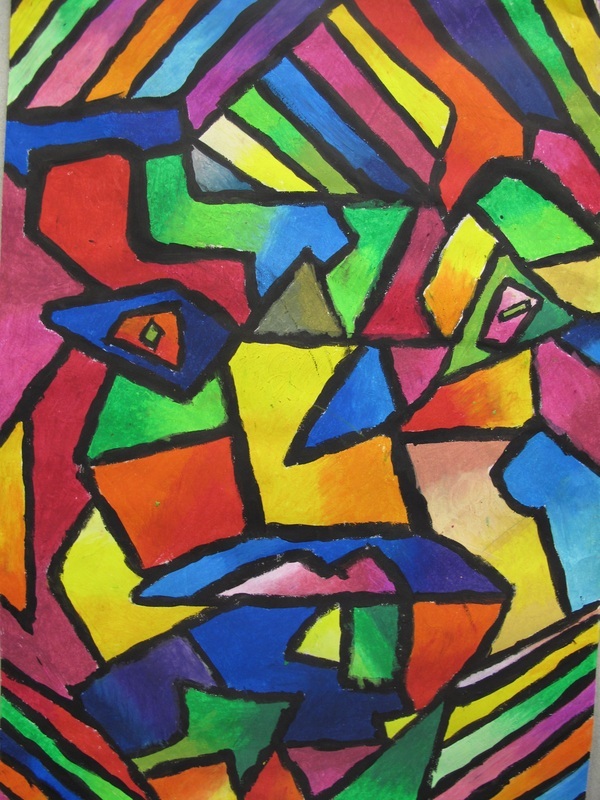 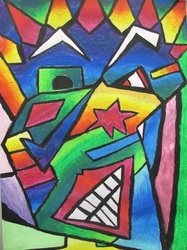 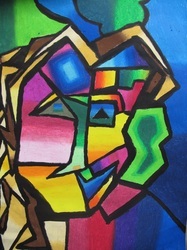 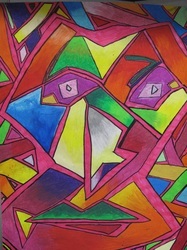 The line between the shapes was emphasised with acrylic paint.